1. It starts with a decision to be your own person. Don’t live your life to please, or to impress, someone else. 2. Try and grasp the fact we’re different and have different goals and values … And don’t be swayed by other people who criticise your dreams. 4. Be kind, understanding and patient with yourself. Accept that failures and mistakes are part of everybody’s life. Also, choose to frame mistakes as learning opportunities. 5. 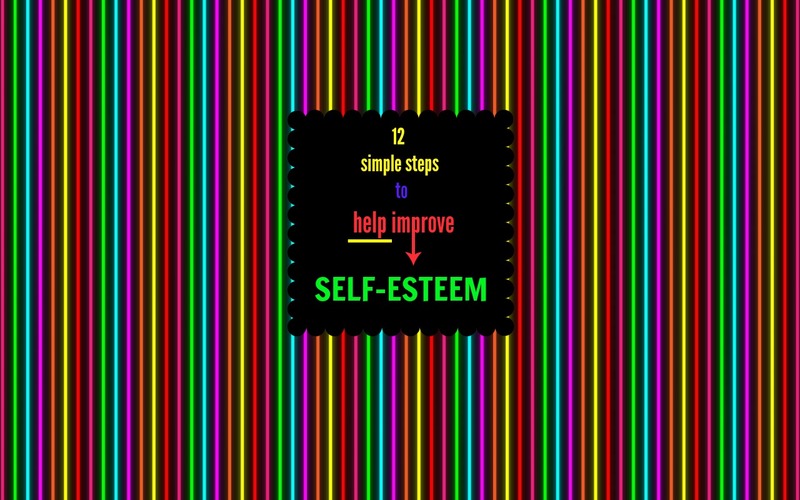 You need to root for yourself, and seek to be your own best friend. Don’t denigrate yourself – in public, or when you’re alone. 6. Remind yourself a weakness can become a strength, in time. It takes patience effort – but, eventually, things change! 7. Make a list of what you’re good at, and keep adding to the list. Also, note the strengths that others see, and comment on, as well. 8. Treat yourself with respect and praise the things that you do well. Don’t write them off as “nothing”, or as being “no big deal”. 10. Spend time with those who like you, and can see your worth and value … And, ignore those who attack you, and would like to see you fail. 11. 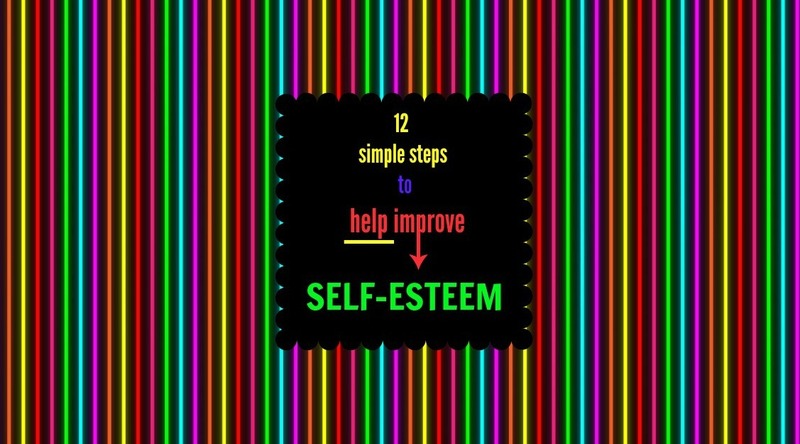 Choose to stand up for yourself, and value being more assertive. Also, decide to start to set and then enforce appropriate, healthy boundaries. 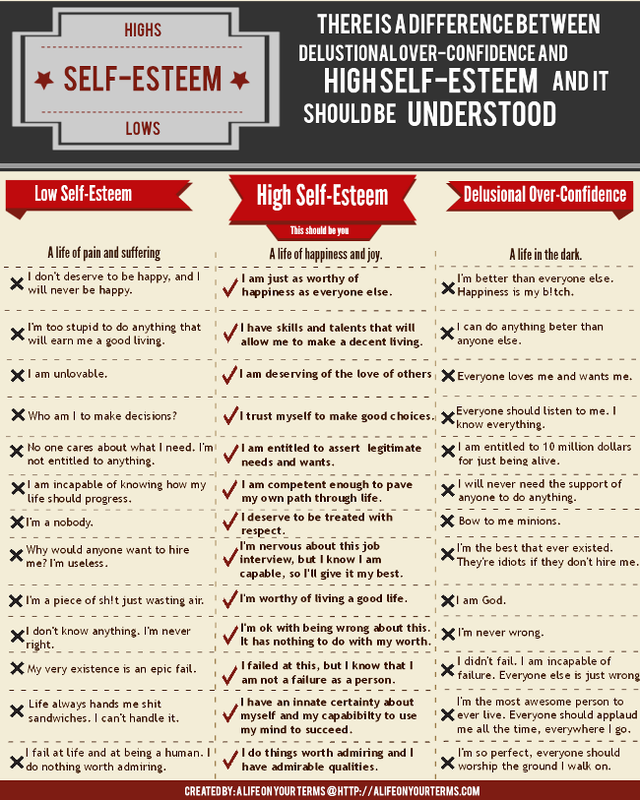 *Here is a great infographic explaining certain differences between delutional, over-confidence, and high self esteem. Very funny but very interesting at the same time.